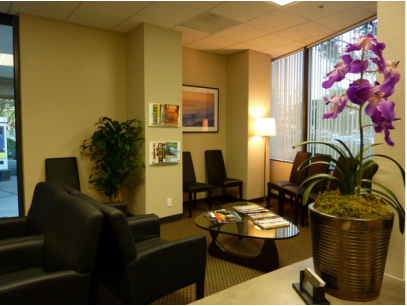 A modern approach to chiropractic care at our La Jolla | UTC office. Each medical office is a bit different and this is especially true of chiropractic practices. Whether you are a long-time chiropractic patient relocating to the area or someone considering a first visit to a chiropractor you may have certain ideas and expectations about what your experience will be like. Our doctors believe that most problems can be solved by approaching them patiently, rationally, and scientifically. Some patients seek us out because they experience pain, others because they have heard that this is a place in which they can become more healthy or reach athletic or other personal goals. Regardless of the reason for your first appointment, rest assured that as our patient you will be treated with respect and caring, and that we will do our best every time to help you achieve your goals. We are ‘holistic’ but not in the sense that we dispense potions or dabble in esoteric forms of healing. Rather, we approach the care of each patient with the understanding that the doctor-patient relationship is built on several factors including respecting our patients’ time, privacy, needs, expectations, and wallets. Dr. Berkoff understands that our lifestyle can have a big impact on our bodies and our health. We offer evidence-based nutritional guidance, help patients develop exercise routines to fit their needs, improve the quality of their sleep, and more. Our office employs two distinct weight-loss programs which not only helps our patients achieve weight goals, but enables them to make the permanent psychological changes necessary for maintaining those goals for life. Our chief concern is your well-being. Some chiropractors promote the the idea of long-term or ‘maintenance’ care, in which patients are encouraged to have routine chiropractic manipulation treatments, ostensibly for the purpose of prevention of injury or illness. Dr. Berkoff is not one of those chiropractors; he believes that ‘maintenance’ care fosters dependency and promotes a scientifically invalid premise. At our practice, we will work hard to correct whatever problem(s) you might have and/or teach you the skills and habits to maintain your health following the completion of your course of care. While some conditions may require longer term treatment than others, in every case our goal is to do the most good in the fewest number of office visits.